There’s nothing new about a shipper detaining drivers, making them wait to load. It’s a decades-old struggle between shipper and carrier with drivers stuck in the middle. So why raise it in the 21st Century? Technology in the form of electronic logging devices (ELDs) could give drivers and fleets a new way to combat the ongoing fight to reduce detention times and one day, even eliminate the time drivers wait—and wait.More drivers and fleets are scrutinizing detention time because federal hours of service rules are now being tracked electronically, making it virtually impossible for drivers to pad driving hours. The US ELD mandate began last December; Canada is scheduled to follow by 2020. 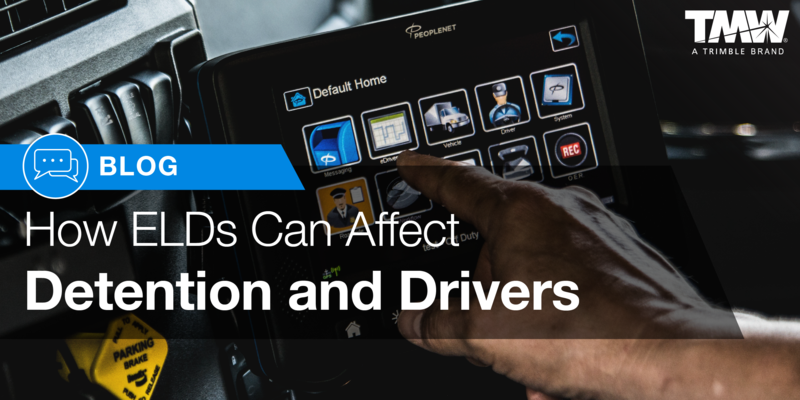 As of April 1, 2018, roadside transportation equipment inspectors began enforcing the use of ELDs by commercial driver’s license holders operating in interstate carriers. Drivers can work a 14-hour day, with no more than 11 of those hours spent driving. Drivers must rest for 10 hours after their on-duty shift. Fleets operating within 100 miles of their base are exempt. Agricultural carriers have been granted a temporary exemption. 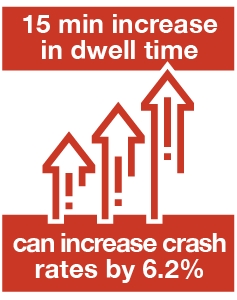 When drivers are delayed by shippers for more than three hours, drivers will have fewer than 10 hours on the road. If the lack of hours prevents the driver from reaching his destination, that can have a snowball effect on subsequent loads. ELDs alone won’t make shippers more punctual. They will, however, offer fleet managers the chance to better track which shippers detain drivers and the amount of time drivers wait to load or unload. When carriers integrate their ELDs with fleet management or transportation management software, they see advantages, notes Jacque Richardson, Implementation and Training Consultant at TMW Systems. Detention tracking allows carriers to closely follow the time drivers spend at shippers (and receivers) before departure. “It gives a fleet dispatcher a heads-up,” Richardson says, “and it can be sent to the customer, too.” There’s also a real-time tracking screen that can be monitored by the carrier. Her experience with TMW, as well as driving and dispatching, shows detention can affect a fleet if a customer holds drivers too often. She notes that to avoid the adverse impacts of high dwell times, a fleet could either raise rates or steer clear of that lane of traffic. A growing number of fleet directors and managers may care more about detention if they consider a recent US Department of Transportation report showing detention can increase the risk of accidents and decrease revenue. The report also noted detention can reduce truckload carriers’ net income by an estimated by $250.6 million to $302.9 million annually.